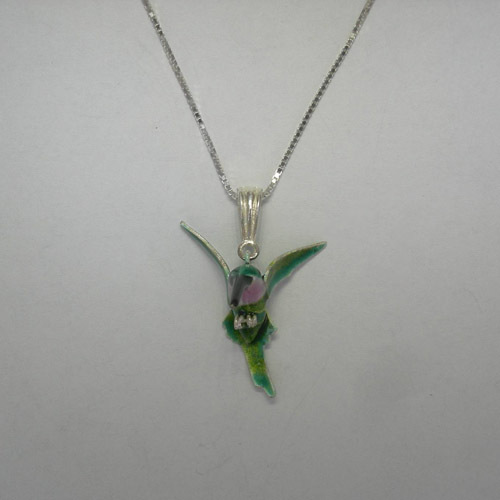 Desc: Sterling Silver enamel flying Hummingbird necklace. 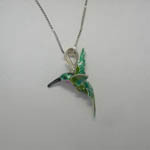 The Hummingbird seems to flutter at the end of the Sterling Silver box link 18 inch chain. The chain has a spring ring clasp. The Hummingbird has vibrant green, blue, yellow enamel. The throat of the Hummingbird is a blush of pink. The eyes and beak are black enamel. The necklace has a bright polish finish.